Conisbrough Motor Company Ltd is a family run used car business established in 1990 and conveniently situated on Sheffield Road in Conisbrough, Doncaster. The company is owned and run by Geoff and Andy Sumner who have over 46 yrs combined experience in the motor trade. 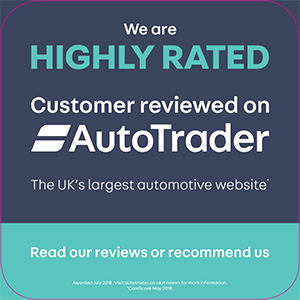 Our aim is to buy and sell quality low mileage cars and give the best possible advice to our customers. We appreciate that buying the right car is an important decision and we have made it our duty to spare no expense in ensuring the quality of our stock is above average. All of our vehicles are expertly sourced, most with service histories, so you can be assured of excellent quality and good value for money. Our reputation speaks for itself with a standard of service second to none. You are able to choose your next used car with absolute confidence and we know you will be pleased with the standard of service we offer here at Conisbrough Motor Company, Used Car Dealer Doncaster, South Yorkshire. Work out how much you can afford to spend on a used car and try to stick to your budget. Research a range of makes and models that suit your pocket and your lifestyle. Visit our used car showroom and see our current available stock. A member of our sales team will be available to answer any questions or to give you any information on any of our used cars for sale. Having chosen your desired vehicle, ask one of our sales staff to arrange a test drive for you so as you can get a better feel for the car. If you have a vehicle to trade in as part exchange, we will negotiate a good price. Arrange a Car Loan or Used Car Finance, we can offer a range of excellent finance deals to suit your individual requirements. Consider the benefits of taking out an extended Used Car Warranty; we will talk you through the available options. Sign all the relevant paperwork and arrange your car insurance. Collect your keys, drive away and enjoy your new car.